The Sacrament of Baptism is the beginning of life – supernatural life – a gift for which Jesus paid on the Cross. In Baptism we are freely accepting this gift which gives sanctifying grace. Parents in wanting to have their children baptised are accepting this gift on their behalf of their children, which is why infant Baptism is important. In Baptism we also become children of God; our inheritance is union with God Himself in heaven. It imparts an indelible mark or character on the soul which can never be removed. This baptismal character also makes us members of the Church and imposes on us an obligation to live a Christian life as Jesus himself taught us.Baptism takes away original sin – sin and its consequences disappear when God comes into the soul and it is obliterated by the coming of grace. The birth of a new baby is a time of great joy for you as parents, and for the whole family, to welcome a unique person who is created in the image and likeness of God. Baptism is the sacrament that opens the door of faith to your child and you will be making promises for them. You will be agreeing to bring them up in the Catholic faith and that you, as parents, will be their first teachers in the faith. Baptisms usually take place at Mass. This is important because your child will become part of the Christian Community. 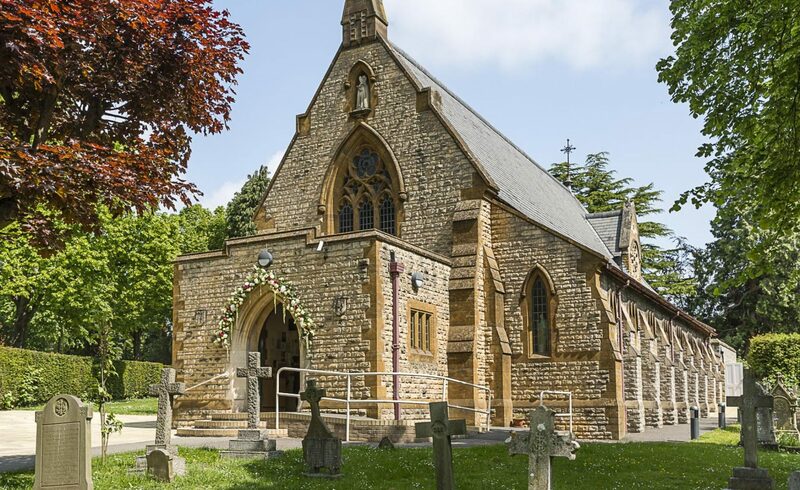 In the first instance you will need to speak to Father Alex about the arrangements, but there will also be some sessions of instruction in the Sacrament for you as parents. This is necessary with a first child. Also at least one parent must be a baptised and practising Catholic. 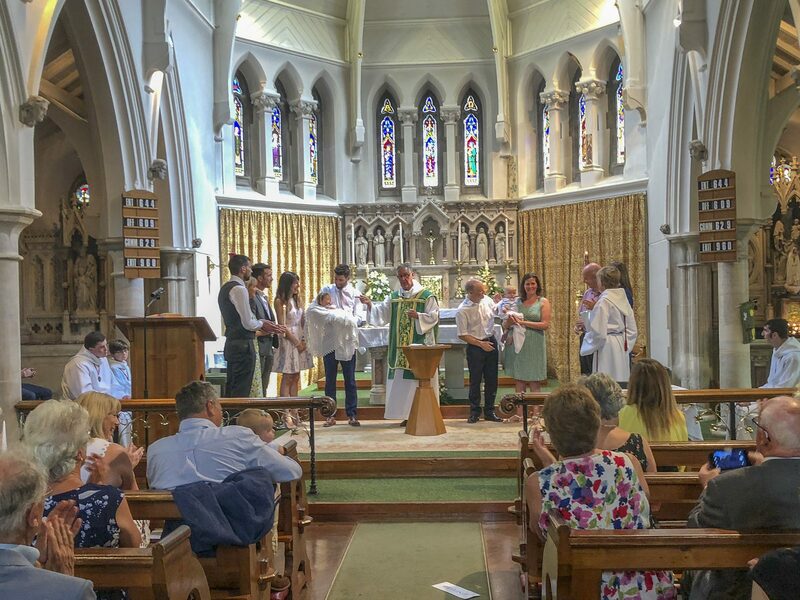 Godparents represent the whole church community at a Baptism and also make promises to take their responsibility seriously to help support the parents in bringing the child up in the faith. For this reason at least one Godparent needs to be a practising Catholic.